7 May 2015. A vaccine for West Nile virus, a seasonal infection spread by mosquitoes, is being tested for safety in an early stage clinical trial. The vaccine, code-named HydroVax-001, is being developed in the lab of microbiologist Mark Slifka at Oregon Health and Science University in Beaverton and commercialized by Najit Technologies Inc., a spin-off biotechnology company founded by Slifka. Research at OHSU led to Najit’s technology platform that produces vaccines for viral diseases with viruses deactivated by hydrogen peroxide, a common household chemical known mainly for its antiseptic properties. Slifka and colleagues designed the HydroVax process to remove the harmful characteristics of viruses with hydrogen peroxide, while maintaining enough of their features and properties to induce an immune response. The HydroVax process, say its developers has other desirable features for vaccines. The deactivated viruses are less likely to cause adverse reactions among vulnerable segments of the population, such as infants, the elderly, or those with compromised immune systems. In addition, say the developers, vaccines made with HydroVax are more stable and do not need to be kept refrigerated during shipment and storage. 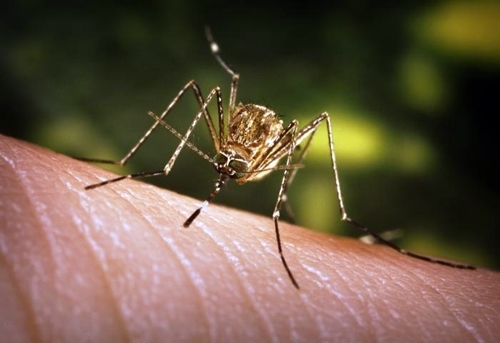 West Nile virus appears in the in the U.S. during the summer and fall and is spread by infected birds, who then spread the virus to mosquitoes, and on to humans bitten by infected mosquitoes. Nearly all people with the virus experience at worst mild symptoms including fever, headache, body aches, nausea, vomiting, and sometimes swollen lymph glands or a skin rash. About 1 in 150, however, develop more severe symptoms, such as coma or paralysis that can last several weeks and lead to permanent neurological damage. Centers for Disease Control and Prevention says more than 2,100 cases of West Nile virus were reported in 2014, in 47 states and the District of Columbia. The clinical trial, funded by National Institute of Allergy and Infectious Diseases of National Institutes of Health, is being conducted with 50 healthy adults at Duke University School of Medicine in Durham, North Carolina. Participants are randomized 3 to 1 to receive HydroVax-001 or a placebo at 2 dosage levels, at the beginning and end of a 29-day test period. These individuals will then be monitored over the next 13 months, assessing evidence of the vaccine’s safety, tolerability, and generation of any adverse effects. Najit’s West Nile virus vaccine is the company’s lead product and the only vaccine so far to reach the clinical trial stage. Najit also has vaccines for yellow fever and dengue viruses still in preclinical testing.